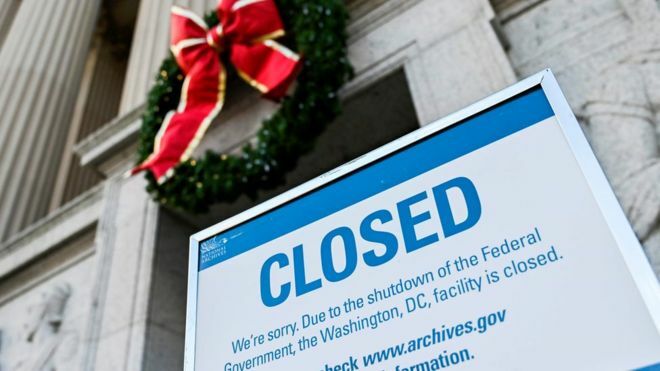 A partial US government shutdown is likely to continue into next week amid an impasse over funding for President Trump's proposed Mexico border wall. Mr Trump says he will not compromise on his demands for funding to build a border wall between the US and Mexico to tackle illegal immigration. He is refusing to sign a wider spending package, forcing large parts of the government to shut down. But opposition Democrats - who take over the House of Representatives in January - and some within Mr Trump's party, the Republicans, insist they won't give the president the $5bn he says he needs. The president's opponents accuse him of exaggerating the issue of immigration for political gain, and argue that there are better forms of border security than a wall. Why can't Trump get his budget passed?